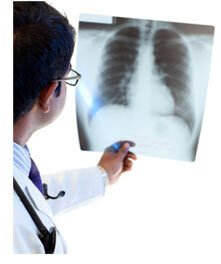 Interventional Pulmonary - Arizona Pulmonary Specialists, Ltd. In certain airway diseases, diagnosis and treatment cannot be effectively accomplished through conventional pulmonary medicine. These conditions include, among others, complicated interstitial lung disease, lung tumors, and tracheal stenosis. Many conditions that were once considered irreversible are now treatable because of these procedures. At Arizona Pulmonary Specialists, Ltd., we have a team of physicians who have undergone additional training and have extensive experience in the latest procedures and technologies. Our Interventional Pulmonary physicians are nationally recognized as leaders in this field.